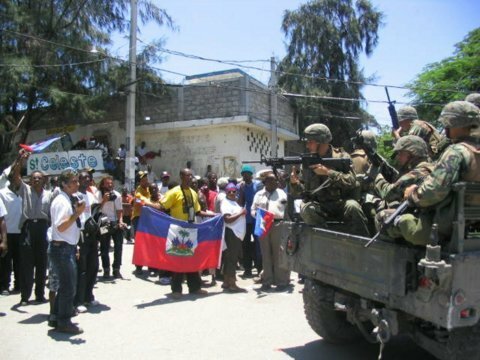 President Obama's response to the tragedy in Haiti has been robust in military deployment and puny in what the Haitians need most: food; first responders and their specialized equipment; doctors and medical facilities and equipment; and engineers, heavy equipment, and heavy movers. Sadly, President Obama is dispatching Presidents Bush and Clinton, and thousands of Marines and U.S. soldiers. By contrast, Cuba has over 400 doctors on the ground and is sending in more; Cubans, Argentinians, Icelanders, Nicaraguans, Venezuelans, and many others are already on the ground working--saving lives and treating the injured. Senegal has offered land to Haitians willing to relocate to Africa.